Happy Friday, lovelies, and we at Casa Beholding Eye hope that you had an utterly awesome Thanksgiving full of great fun, great food, and great memories of your holiday. Now that Thanksgiving is behind us, we’re all charging full steam ahead to the rest of the holiday season. I had heard about New England Sack a couple of months ago. Anyone who knows me or has read the “About Me” section of this blog is aware that I am completely and totally obsessed with moving to the New England area within the next year or so, specifically to the coast of Maine, but I’m enthralled with the small obscure towns in the entire New England area. 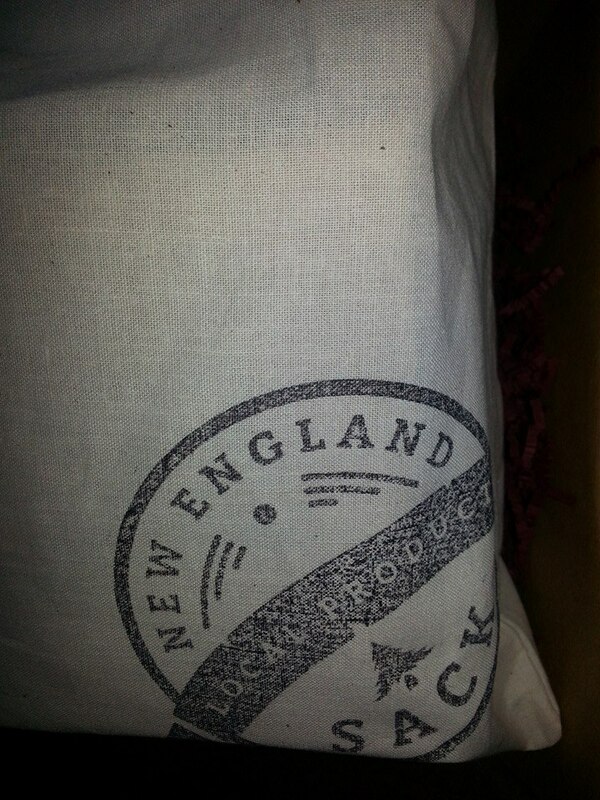 So, all things being equal, I knew New England Sack was a subscription box I simply had to add to my repertoire. 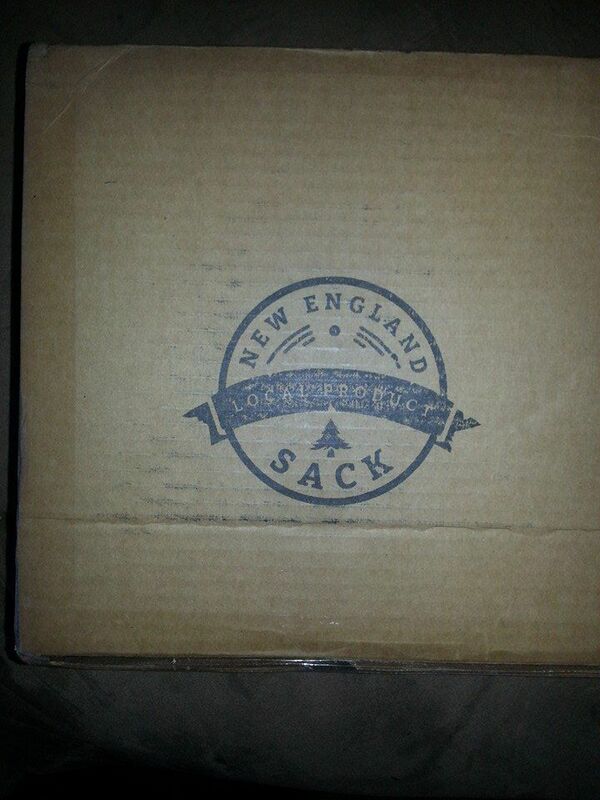 And there it is, my first New England Sack, with the theme “Box of Gratitude,” just waiting to be opened. Okay, let’s get this pesky shipping box out of the way and see what’s waiting inside. Already starting with a very lovely touch, there’s a personal handwritten note atop the contents. Off to a good start, NES. 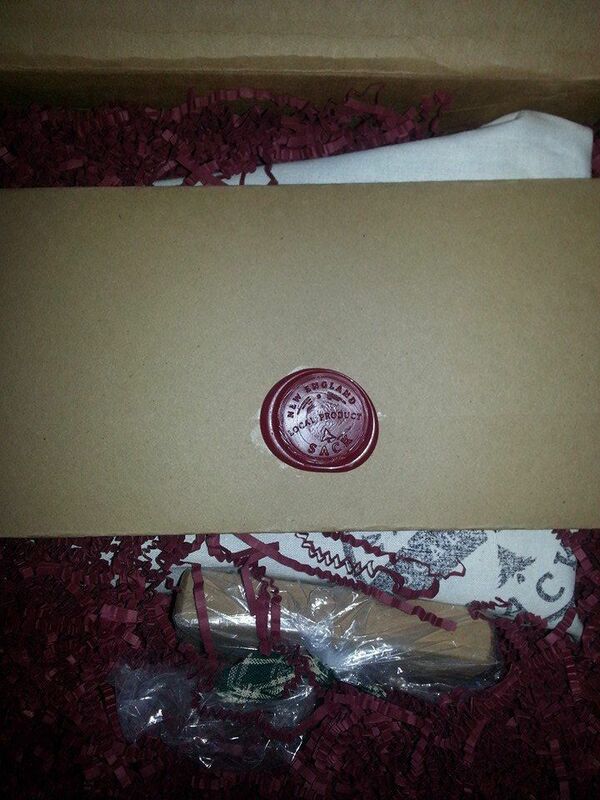 I’m a sucker for wax seals (everyone probably remembers how I ooh’d and ahh’d over the FabFitFun note card set complete with wax seal and stamp in their Fall box). This is lovely. Let’s delicately open this and see what’s inside. 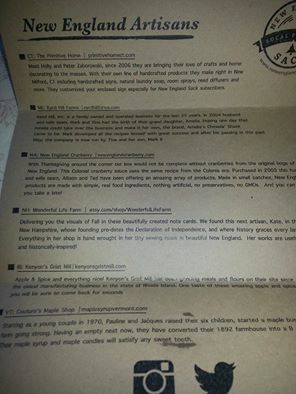 And inside we find the descriptor card for NES, which outlines each product in this month’s sack and the New England artisans who contributed. Lovely. Absolutely lovely. Not in the actual sack but carefully packaged alongside of it is the first item. 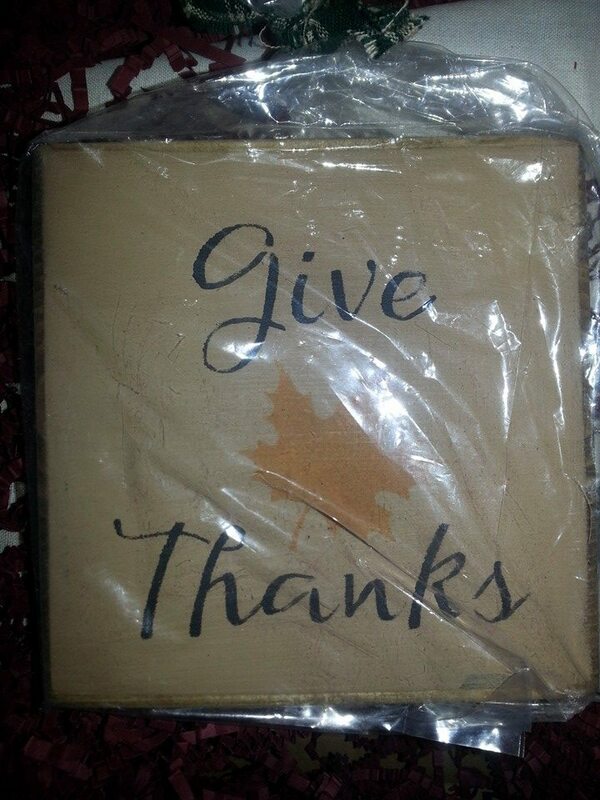 A small plaque handcrafted by Connecticut artisans Holly and Peter Zaborowski that says “Give Thanks.” This is beautiful in its rustic simplicity. And what a perfect time of year to receive it. I’m not removing it from it’s protective plastic cover until I find just the perfect spot in the kitchen to hang it. Great start, NES! Now, onto the Sack itself and see what items of awe it contains! I just love the sack. 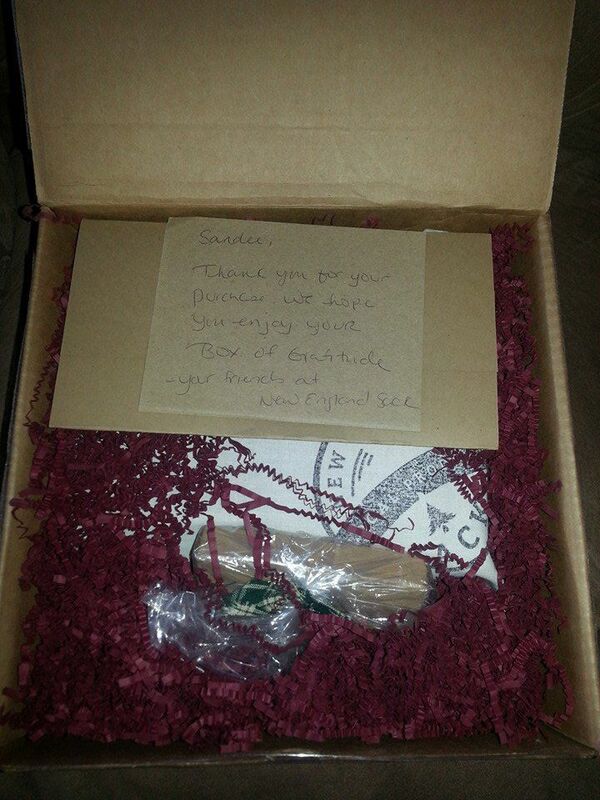 It’s actually a refreshing change from the preponderance of boxes most subscription services come in. The bag is not only cute (love the logo), but it’s reusable as well. Reaching in and gently pulling out the first item my excited little hand touches, we have from Rand Hill Farms in Maine (wait, let me close my eyes and clutch the bag, hoping to mentally transport myself to the coast of Maine by osmosis…Nope, didn’t work) Amelia’s Chowda Shack clam chowder mix. This sounds absolutely amazing. I love clam chowder. In fact, when we lived in Pacific Grove, we made it a point to try the clam chowder at every single restaurant and cafe we went to. And loved it all. The New England variety, obviously, not that other variety we’re definitely not so fond of. 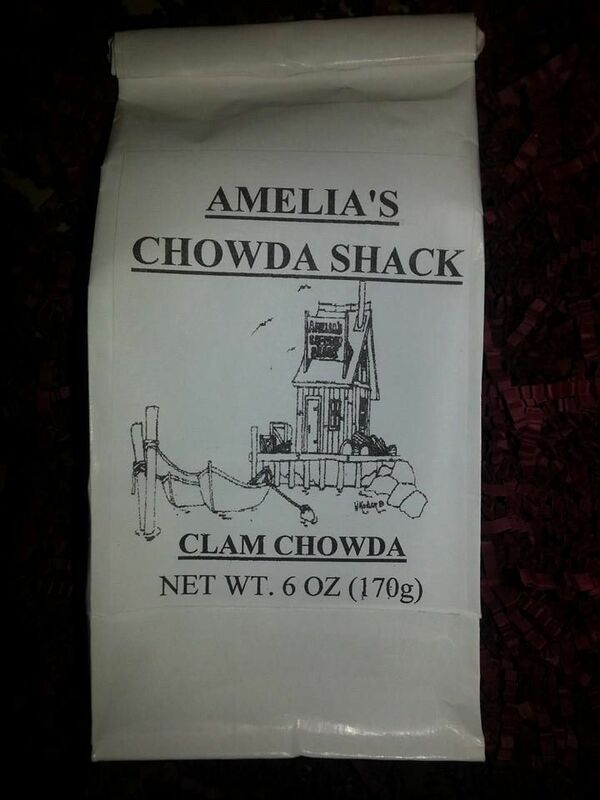 New England clam chowder is amazing, and this soup base sounds incredible. I know what we’ll be having for dinner after a trip to the store for fresh clams. 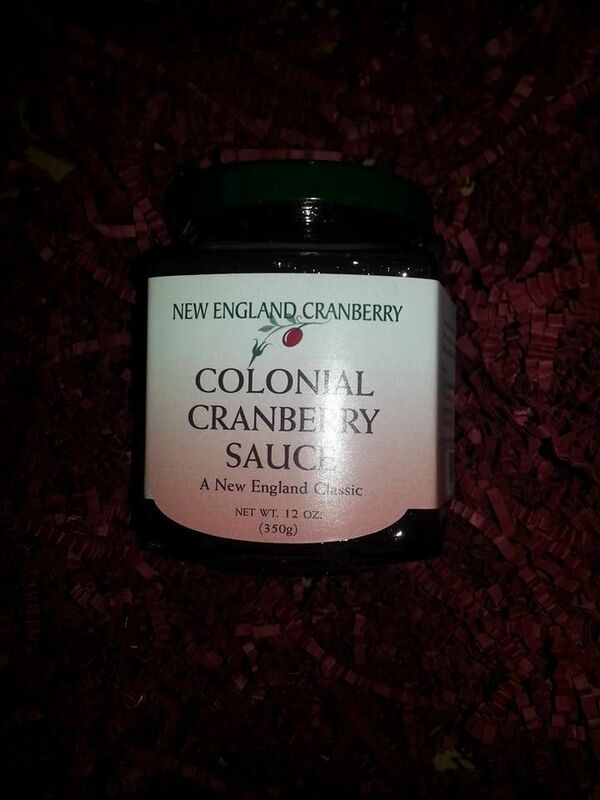 Okay, next tasty treat to emerge from the bag is from New England Cranberry out of Massachusetts. Literally Awesome Sauce. Colonial Cranberry Sauce purports to still use the original recipe from the Colonial era, with no additives, preservatives, or GMO. Total wholesome deliciousness in a very nice-sized jar. I would have loved to have had this yesterday to go with our Thanksgiving meal (we’re rebels and dined on NY steaks and lobster tails rather than turkey, but this would have been perfect with morning muffins). In case you can’t tell, I’m delighted with the contents thus far. Okay, maybe that trip to the store can be postponed, since the good folks at NES are one step ahead of us (which is no easy feat) and included pancake mix! 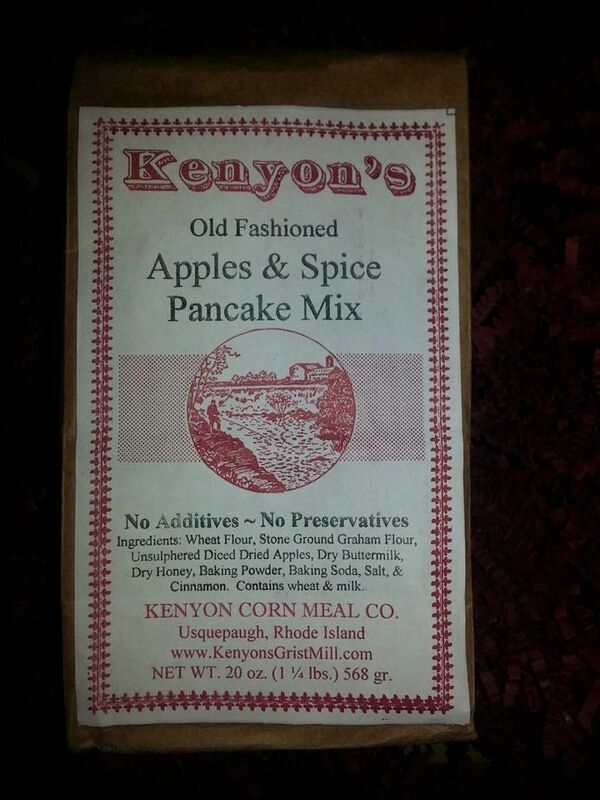 From Kenyon’s Grist Mill in Rhode Island, we have this scrumptious-sounding Apple and Spice pancake mix. Kenyon’s Grist Mill has apparently been grinding their own grains since 1696, so I’m anticipating these pancakes are going to be UH-MAZING. 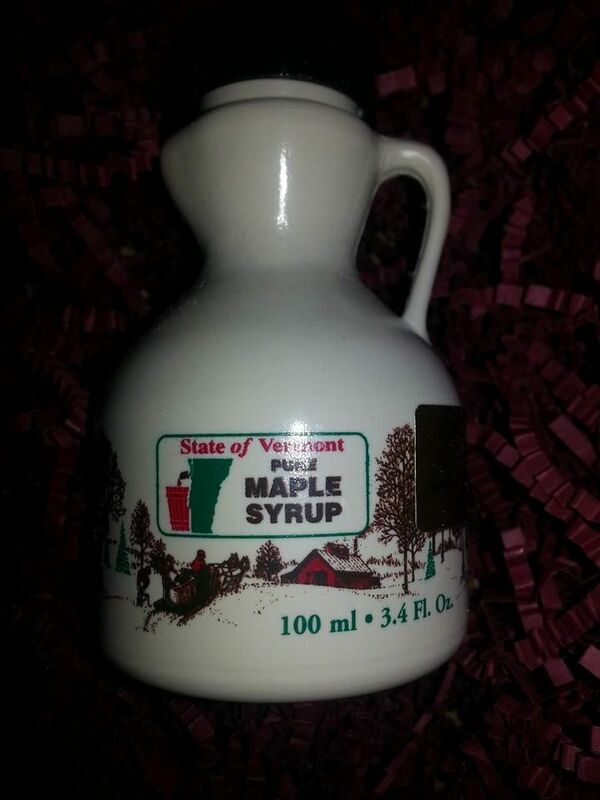 And to go perfectly with the Couture’s Maple Shop syrup. Heaven on a plate, indeed. 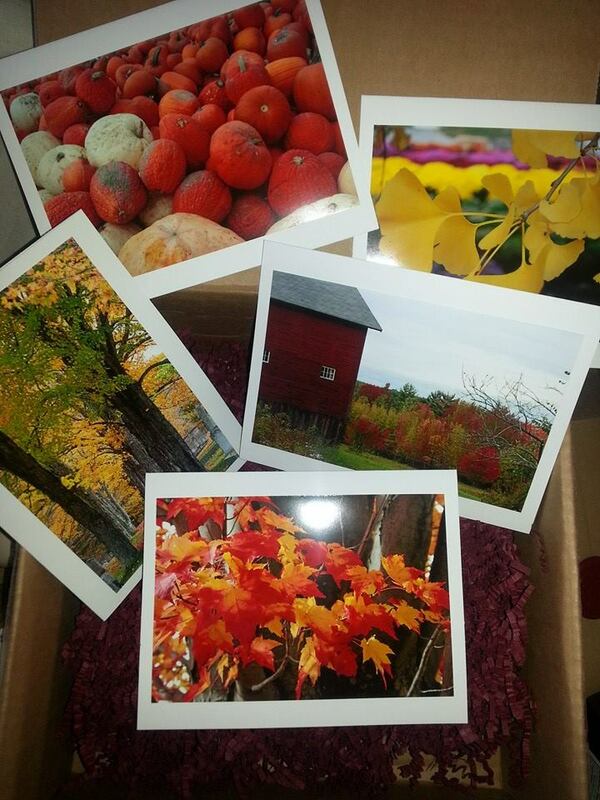 Wrapped and tied carefully in tissue paper, next up we have a set of 5 absolutely gorgeous photographs of New England sights in the form of greeting cards. 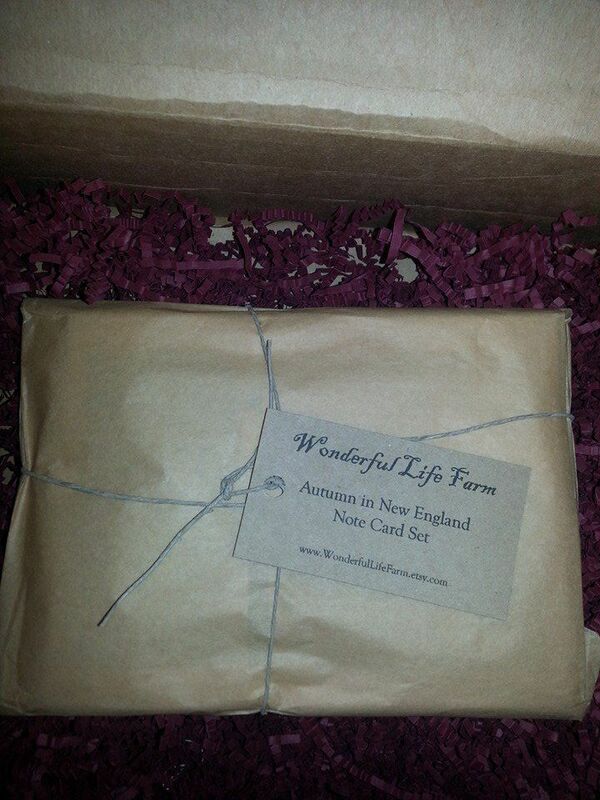 From Wonderful Life Farm in New Hampshire, these pictures of Fall in New England are simply too perfect to write on and mail out, to likely end up being disposed of after being read. No, these beauties are going into frames and being displayed on the walls. Absolutely breathtaking. 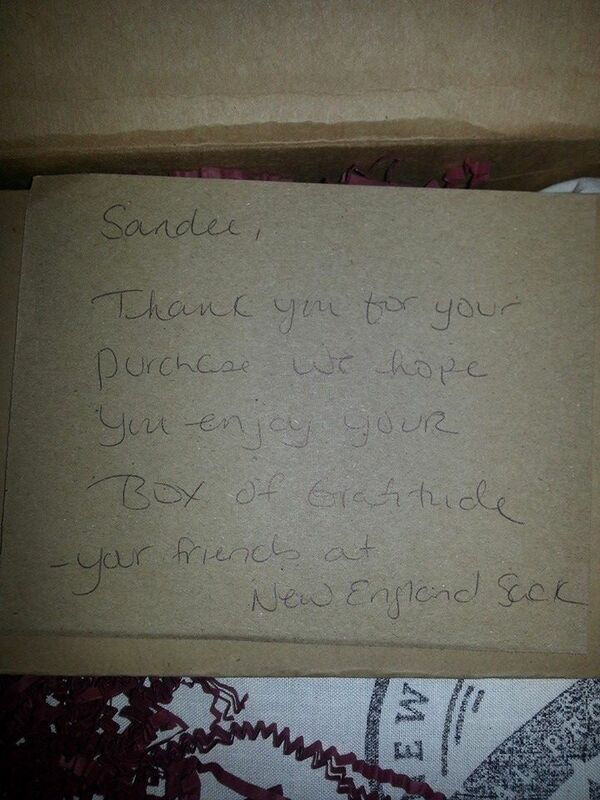 And there we have it, the “Box of Gratitude” from New England Sack, their first entry into the world of subscription boxes. I LOVE IT. 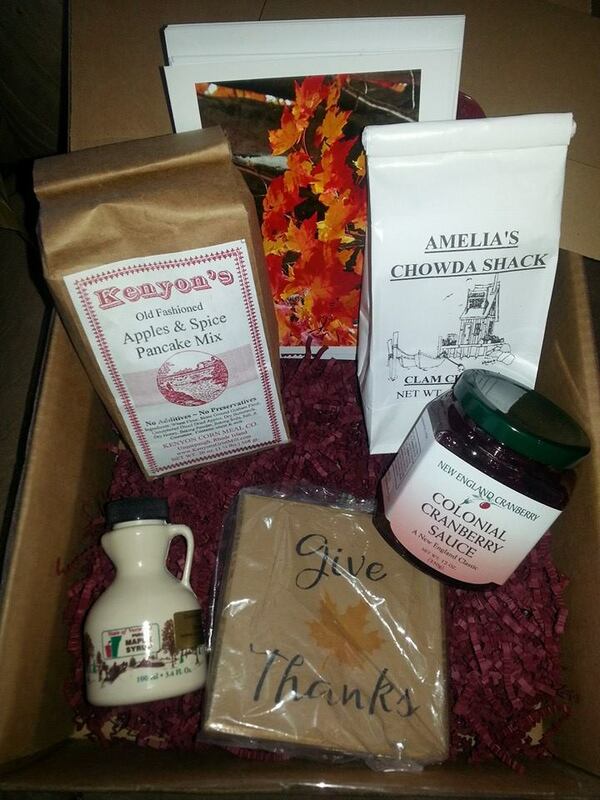 Being enthralled with all things New England, this box was perfect for me. A small sampling of 5 states in the New England region, from objets d’art to culinary delights. As the entire purpose of New England Sack is to bring the flavor (both figuratively and literally) to your doorstep, I didn’t bother doing retail values on these items. I don’t look on NES as a way to secure a bargain price but more to do what it professes to do, bring New England to my California doorstep once a month. The Box of Gratitude definitely did not disappoint. I can’t wait to see the December box. Winter in New England has to be positively glorious. 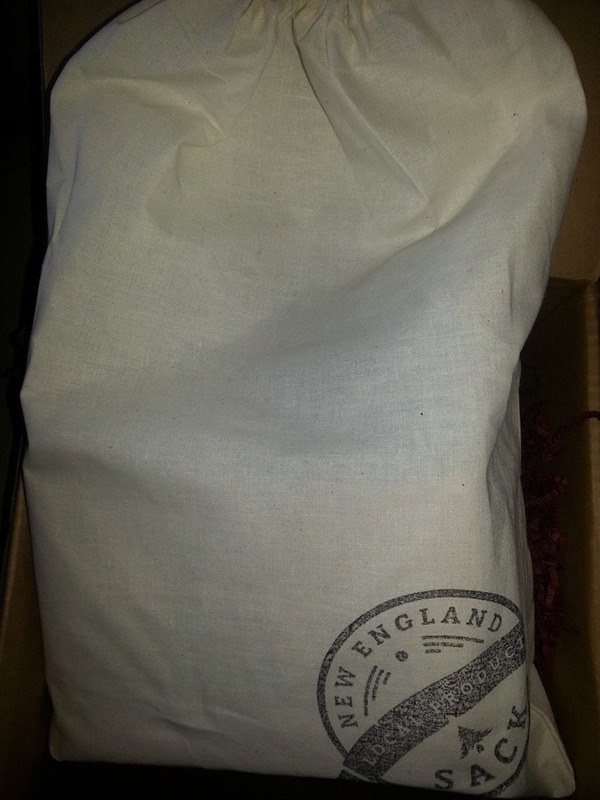 New England Sack is $35/month, with discounted prices for 3-month and 6-month subscriptions (and judging from the Box of Gratitude contents, worth every single penny). Now we’re counting down to December’s “The Holiday Sack,” which I anticipate to be just as awesome as the fall Box of Gratitude. Bravo, New England Sack, and kudos on your amazing entrant into the world of subscription boxes. Keep up the good work.